It’s going to be spring soon, with flowers in full bloom and the smell of freshness in the air. But it’s not flowers for today’s wallpaper keeping in mind the fruit theme for this year. 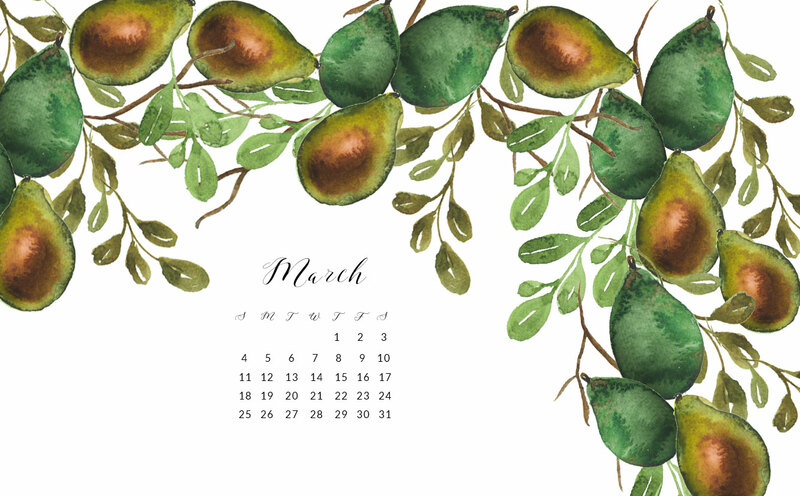 Download the free 2018 March watercolor wallpapers, both dated and undated from this post. Do you love avocados? I aboslutely love it but as guacomole and with milk and wee bit of sugar. I love making an avocado smoothie that tastes oh-so-delicious. I’m not a fan of the avocado on toast trend at all but let’s not debate over that one here. 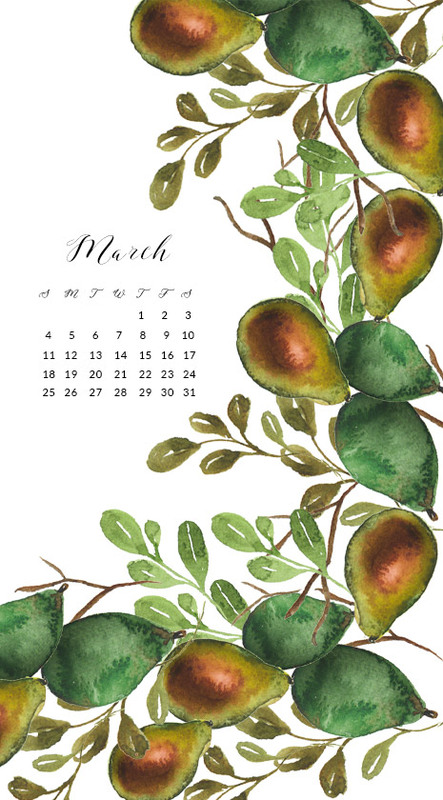 The 2018 March watercolor wallpapers feature the trendy avocado along with its leaves. I love the explosion of green here and I hope you do too.